1. Preheat the oven to 445 degrees. 2. Coat the Boboli pizza crust in enchilada sauce. Then coat a layer of refried black beans on top. 3. Cover the sauce and beans entirely in Mexican cheese. 4. Evenly coat the pizza in mixed greens onto of the cheese. 5. 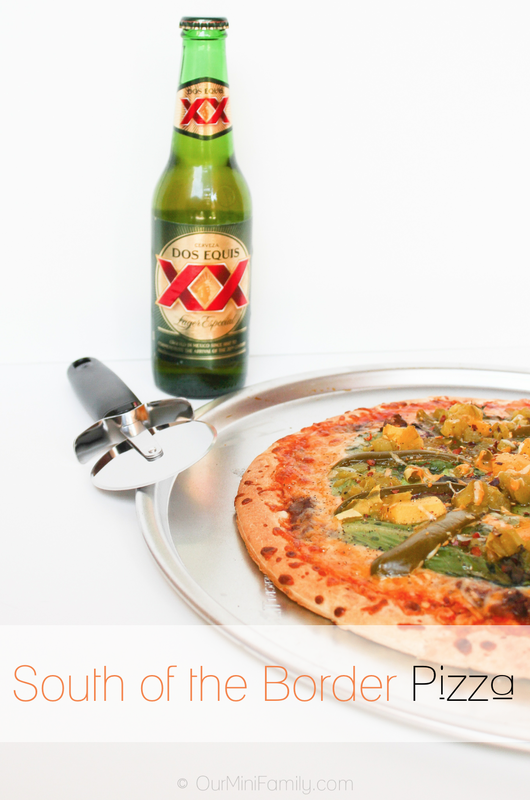 Sprinkle the sliced jalapeños, green chiles, and mango chunks on top of the pizza. 7. Bake pizza at 445 degrees for 9 minutes, and broil on high for 1 minute. 8. Remove from oven and let cool. Serve and enjoy! Does your family enjoy pizza? That would be really popular here in Texas! So creative - I love the ingredients! Thank you so much, Debra! I think anyone in the Southwest would love it for sure! That looks so delish! I unfortunately can't have most of those ingredients since I started on the Autoimmune Paleo diet. But it looks so good! My favorite toppings and usually pepperoni, onions, mushrooms and green peppers. I love olives too. Awww bummer! Well good for you for trying that diet, though! That is cool! Nice! You totally should, Debi! This looks really good and I am going to have to try to make it. Thanks for the recipe. You are very welcome! Happy to help! I love pizza-generally with only extra cheese and pepperoni. 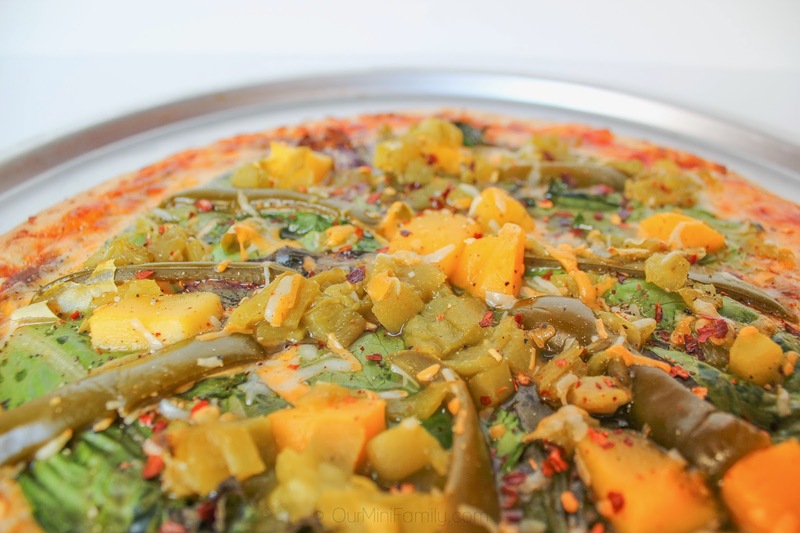 I do like spicy and this pizza sounds out of this world. Haha oh okay! Perhaps this may not be a good pizza if you don't like spicy, but I bet you could like it if you made it without crushed red pepper and jalapeños! You're welcome! Happy to share--I think if your hubby likes spicy he would totally love this! I love other themes for pizza! Thanks for sharing. I have not tried enchilada sauce on pizza, although hot wing sauce is a favorite in my house. My pleasure! Hot wing sauce on pizza is also fantastic! OH WOW that looks so yummy!!! Yum! I'd try mine with extra jalapenos! Thank you for linking at the In and Out of the Kitchen Link Party. Hope to see you again next week. My pleasure!! I totally will--and thanks for stopping by! Thanks for the invite! I will have to check it out--cheers! I can't wait to try this! Thanks for linking it up at Tickle My Tastebuds. 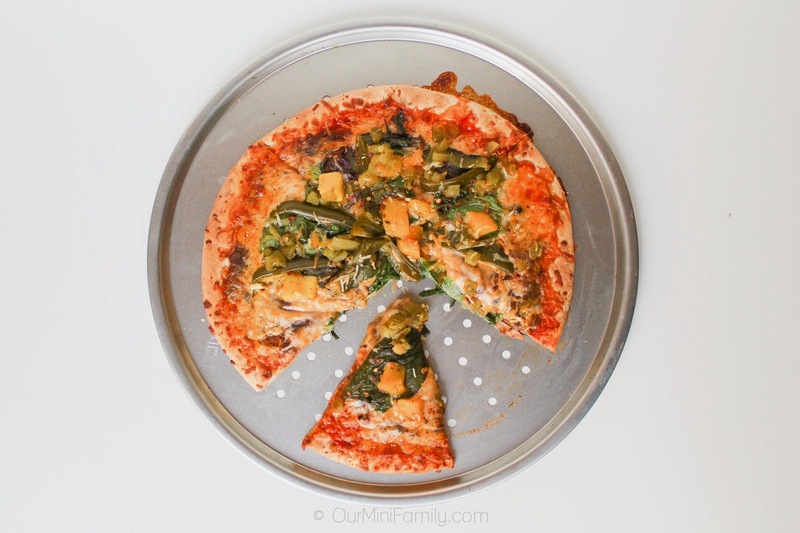 I am featuring you this week and would love if you'd stop by and link up more recipes!